The first Golf Major of the year gets underway on Thursday and it could hardly be any more wide open as the best players in the world head to Augusta for the US Masters. The ‘Green Jacket’ is one of the most recognisable and prized possessions in sport and as the latest betting suggests, it should be a thrilling four days of action. It has already been announced that four times winner Tiger Woods will miss the tournament after back surgery which will surely have given the rest of the field a big boost in their quest for a famous win. Woods had been the favourite to win the Masters for the first time since 2005 but his withdrawal ensures that it is Rory McIlroy who is set to tee-off in the first round as the one to beat as he looks to win the tournament for the first time and add to the two career Majors to date. The man from Northern Ireland is of course won the US Open in 2011 and PGA Championship in 2012 and clearly has the talent to win at Augusta if he can hit his best form. He led by four shots going into the final round of the Masters three years ago but wilted in the heat to shoot a score of 80 which are clearly memories that McIlroy will be keen to banish. The Ulsterman endured a tough 2013 but he has shown signs of recovery in recent months. 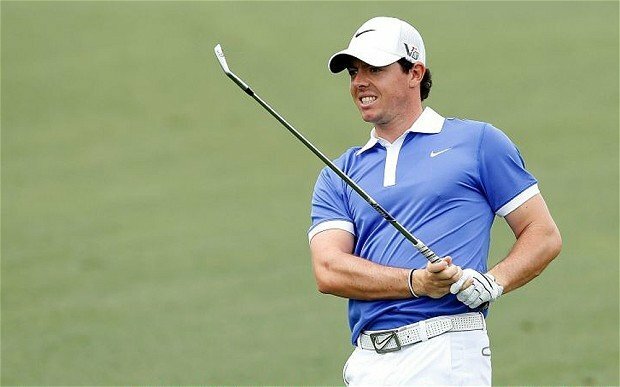 Victory in the Australian Open, second in the Honda Classic in recent weeks and seventh in the Shell Houston Open last weekend see McIlroy as the clear favourite in the outright betting at odds of 10/1. 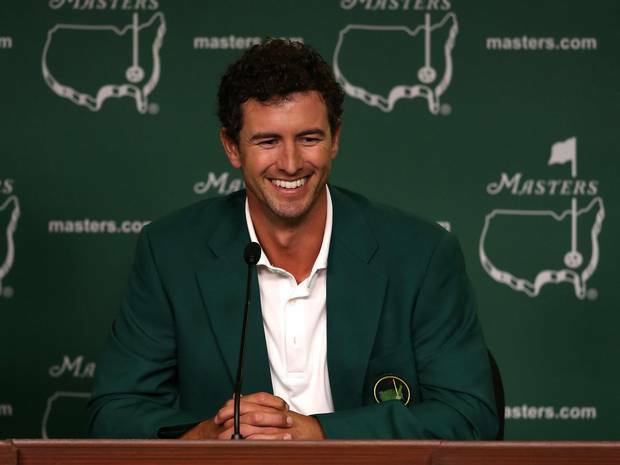 Adam Scott is just behind McIlroy at 11/1 and will be returning to Augusta as the defending champion and the Australian and current world number two has to come into consideration once again to be the first player since Woods in 2002 to retain the ‘Green Jacket’. As well as winning last year, Scott also has three other top 10 finishes to his name in the Masters and there is no doubt that his game is well suited to the test on offer. He had a brilliant 2013 as a whole and has to have a chance on form of winning once again. Scott’s Australian compatriot Jason Day always seems to save his best for the Masters and with that in mind, he also has to come into consideration. Day has finished in the top three at Augusta twice in just three starts, including last year when he finished third and many are predicting that his Major drought will end sooner, rather than later. He is in good form at the moment as well having won the WGC world Match-Play Championship back in February and given his course form, will be popular at 18/1. Jason Day defeated Victor Dubuisson in that Match-Play Final and the Frenchman is another young golfer who could make a big impression at Augusta. Dubuisson has rocketed up the world rankings in recent months and goes into his first attempt at the Masters full of confidence and at a massive price of 80/1 but no tournament debutant has won since Fuzzy Zoeller was victorious back in 1979! 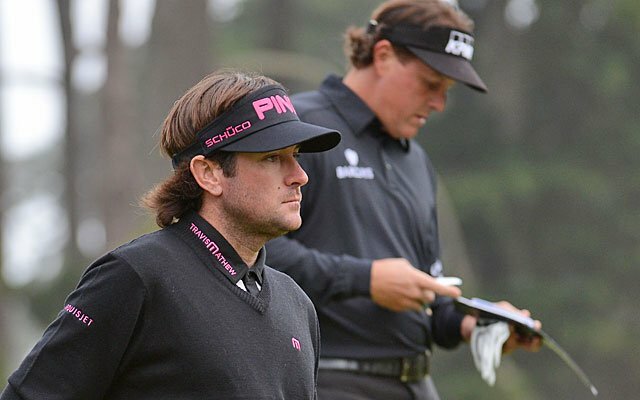 Past winners are always of interest at Augusta given the specialist nature of the course and that could well bring in the likes of Phil Mickelson and Bubba Watson. The two left-handers have both slipped into the ‘Green Jacket’ in the past and both are more than capable of putting together a run at the tournament once again. Mickelson is an injury doubt having picked up a side injury recently, while Bubba Watson was last seen withdrawing from Bay Hill due to allergies which is hardly the ideal Masters prep but neither can be written off. Some more dark horse and sleeper picks include Jimmy Walker who will be playing in the Masters for the very first time. The man from Oklahoma City is the in-form player on the PGA tour at the moment and will be tee-up at Augusta as the current Fedex points leader having won three tournaments since October, including the AT&T at Pebble Beach in February which has seen him rocket up the rankings. It is hard to see Walker going all the way on his try at the Masters but give his form, he could make his presence felt.